My husband, Gary, was stubborn tenacious. When he was first diagnosed with late-stage, slow-growing cancer, we learned he could expect about two years of life. But Gary stubbornly insisted on living ten years. Ten far-reaching, astonishing years. I love that I was married to a tenacious man. There was a day—with chemo still in his system and having lost a good deal of energy and weight—that Gary suggested we walk a three-mile loop of the Deschutes River trail as part of our Friday date night. He said we could always find a bench to sit on and then turn back if he couldn’t go the distance. Based on relevant research and years of observations of people under extreme stress, Dr. Dennis McCormack, an early Navy SEAL who later became a psychologist; Dr. Douglas Strouse; and Dr. George S. Everly, Jr. produced a list of shared characteristics in highly resilient people. And tenacity—an uncommon perseverance, especially in the face of setbacks and discouragement—made the list. 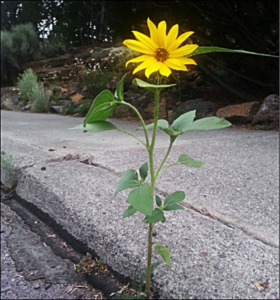 Tenacity supports quality of life. There’s no science to prove that our cancer team—good nutrition, increased physical activity, a tenacious attitude, plugging into community, giving back, and our strong faith—extended Gary’s life from the projected two years to ten. But certainly our cancer team was profoundly instrumental in providing good quality of life. Which was important to the patient as well as his caregiver. Gary and I stepped out of our comfort zones by establishing a non-profit, writing for grant funding, and sharing at various venues across the country what we were doing to live well with terminal disease. It took tenacity to dare imagine there would be an audience for our proactive message, and tenacity to complete the steps to get us there. It produces a positive attitude. His determination to remain proactive helped set the tone in our home. We didn’t have our heads buried in the sand; we knew that terminal meant … well, terminal. It generates fun and memories. Gary and I had more fun and created more memories in the cancer years than at any other season of our marriage. It’s because in the earlier years we were too frugal, and too busy saving for someday. And then cancer knocked on our front door, and even though it insisted on accompanying us, we climbed to the tops of more mountains, and took more road trips, and established a standing Friday date night, and laughed uncontrollably, and explored more places across this great land than at any other time in our marriage. My husband, on a hormone therapy regimen that produced exhaustion, had every reason to sit back in an easy chair and watch other people lead extraordinary lives. But he donned hiking boots, and cleats in snow and ice, and turned on the lights in the bill of his cap in the dark early morning hours, and hiked to the top of a small mountain in the middle of our hometown – two miles round trip, 500′ elevation gain. Every workday morning. I don’t do 5:30am, but on weekends Gary and I discovered the trails in the nearby Cascade Range. And we became addicted to fresh mountain air, and the smell of pine needles on sunbaked dirt, and the sound of burbling creeks and roaring waterfalls, and the beauty of impossibly tall Oregon trees and startling wildflowers after snowmelt. Which turned out to be exactly the case. Resolve. Persistence. Determination. Grit. Tenacity. It doesn’t matter so much what you call it; it matters that you cultivate it. What if we could all live our lives that way – with or without cancer? Marlys was the caregiver of her husband Gary who lived ten years after being diagnosed with late stage prostate cancer. After his diagnosis, together they founded a non-profit called Cancer Adventures, sharing their story with groups across the country. After Gary’s death in 2014, Marlys has continued to share the underlying theme of her and her husband’s story: How challenges are a part of life but you have choices. She has a passion for helping people navigate life’s challenges, having negotiated a few herself. This entry was posted in Homepage, Life on the Other Side, OncoLink News and tagged living with cancer, tenacity. Bookmark the permalink. I absolutely love reading your writings. Your words of knowledge and personal experiences are a source of encouragement and motivation to your readers. You truly are demonstrating ministry in action. What you said: “ … a source of encouragement and motivation to your readers” is exactly what fuels my passion for writing. I remember–back when we were presenting our ‘living well with cancer’ message–that Gary pointed out on more than one occasion how being able to encourage other people walking this same path gave him a big boost. Thank you for your kind words, Debbie.